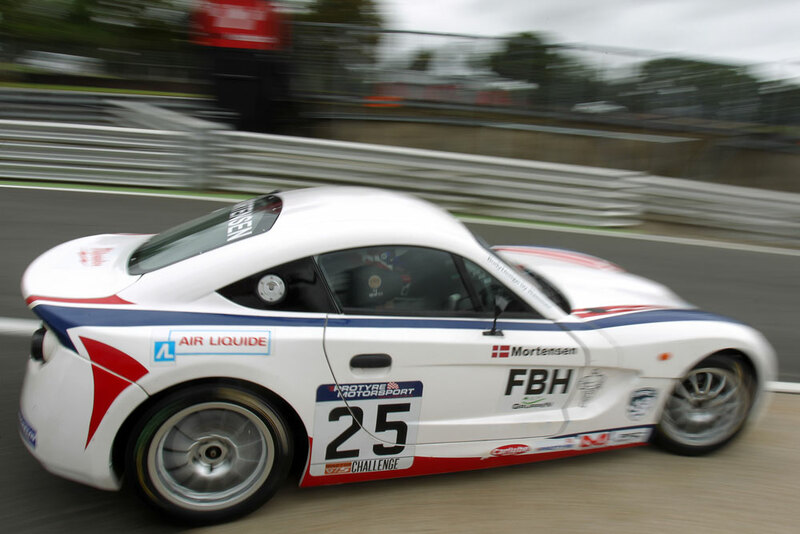 Century Motorsport’s pair of Protyre Motorsport Ginetta GT5 Challenge entries Frederik Mortensen and Osamu Kawashima have been continually improving in the highly competitive championship throughout this season. Arriving at the Brands Hatch GP circuit for rounds 15, 16 and 17, Frederik was aiming for a return to the podium while the Kent venue provided Osamu with his chance to really impress around a circuit he’s raced at before. With no pre-event testing on the Grand Prix loop available on the Friday, qualifying was the first opportunity for the drivers to familiarise themselves with this particularly challenging circuit. Mortensen set a strong benchmark time early in play and continued to improve throughout the session to qualify sixth for Saturday’s first race of the weekend. Kawashima similarly got off to a good start and would end the session in 20th. Saturday afternoon’s race one got underway and Frederik managed to get a solid start as the lights went out. Despite loosing one position on the opening lap, he was locked in battle with Ben Constanduros to take the place back. However an optimistic move around the outside from the Dane into the famous Paddock Hill Bend, resulted in a spin and he fell down to 15th. The determined youngster however never gave up and battled back up to 10th by the chequered flag. Osamu Kawashima, Japan’s only Ginetta GT5 Challenge entry, also got a solid launch off the line and by the end of the opening lap was up to 18th. Battling with David Pattison for the majority of the race, Osamu would eventually get the upper hand and crossed the finish line in 17th. Sunday’s race two provided a fresh opportunity for Frederik to challenge for his first podium finish of the weekend. Starting from sixth again, now with a full race distance of experience to hand, the Ginetta rookie was keen to make amends for his race one mistake. Despite a slightly difficult start to the race falling back to eighth, by lap five Mortensen was back up to his starting position in sixth and hot on the heels of Rob Gaffney. On lap six he managed to complete the move into fifth position and set about chasing down season long rival Callum Pointin. However the gap was just too large to reel in over the closing laps and Frederik crossed the line in fifth position. Osamu Kawashima’s race two almost mirrored race one. Starting 20th, he was up to 18th by the end of the opening lap and back in battle with David Pattison. At the flag Osamu would finish a fine 17th overall. The final race of the weekend on Sunday afternoon provided Frederik with one final opportunity to go for that so far elusive Brands Hatch podium. Starting from fifth position, Frederik made his best start of the weekend to maintain position on the run up to Druids. 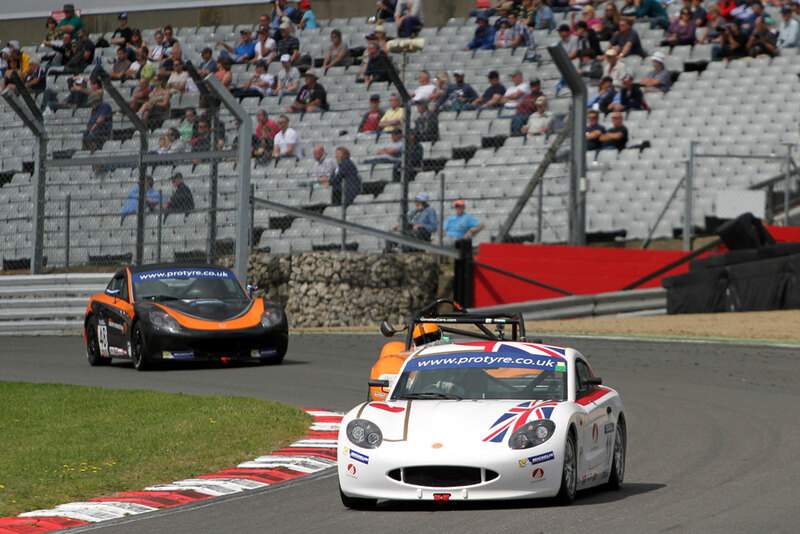 However an incident on the opening lap brought out the safety car for two laps before racing got back under way. Back in battle with Rob Gaffney, this gave the young Dane time to learn from his main challenger up ahead and on lap eight he put this knowledge to good use to pass and drive away from Gaffney. Now back up in sixth, Mortensen was in hot pursuit of Gary Simms but only managed to bring the gap down to two seconds at the flag to finish in sixth. Osamu Kawashima had a relatively lonely race three. 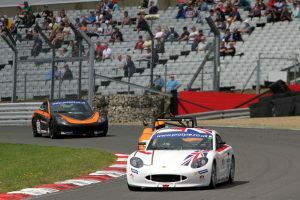 Starting 17th and loosing one place on the opening lap, the Japanese driver comfortably brought his Ginetta G40 home in 18th place.